To celebrate its 20th anniversary, Halloween Horror Nights at Universal Orlando is going all out. For the past 19 years, one thing has been in control of all the screaming festivities each Halloween in Orlando, and this year, guests will get a chance to come face to face with it, Fear. Fear uses his powers of chaos, mythos, death, vengance, and sacrifice. This year Fear himself is coming to play games with his guests. On 24 select nights, 8 all new haunted houses, new scare zones, and live shows will come alive and truly define FEAR. More at the HHNXX website. After lots of Teasing, Carowinds finally announced their addition for 2011: Snoopy’s Starlight Spectacular. Featuring more than half a million LED lights, this new nighttime festival will extend from Country Fair to Planet Snoopy. The latest technology will be soon brought into the park for this sensory spectacular. To allow as many people as possible to enjoy Snoopy’ Starlight Spectacular, the park plan’s on expanding hours to 10 pm from June 27th, to August 7th 2011. 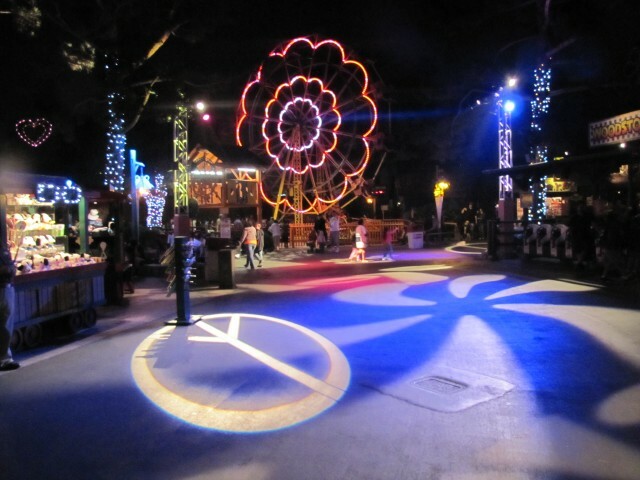 Snoopy’s Starlight Spectacular will illuminate on these nights. The addition is reminiscient of what has been added the past two years at several Cedar Fair parks such as Cedar Point, Worlds of Fun, and Knott’s Berry Farm. 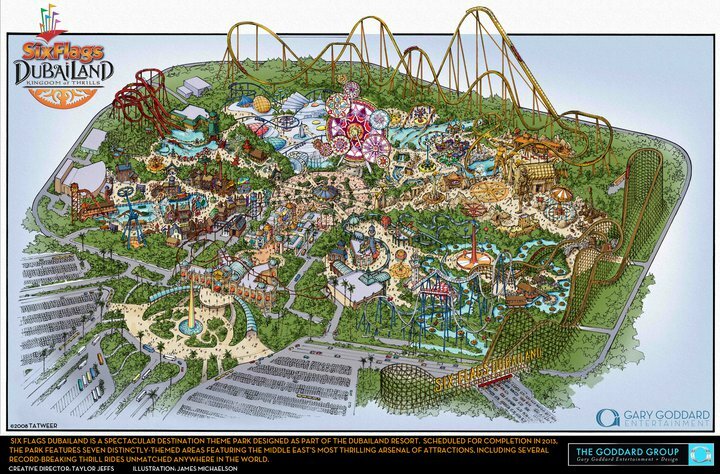 In fact, this particular Carowinds version will share the exact same name as Knott’s recently added version. I got a chance to experience the show at Knott’s and the overall area was just plain fun. The music was retro but with some funk, and the lighting was most certainly impressive with all sorts of lights, 3D objects, and characters that made it a real treat for guests of all ages. You can check out a full review of Knott’s Berry Farm’s version of Snoopy’s Starlight Spectacular here. Expect this to be a popular addition to Carowinds for the 2011 season. One of my favorite things about the Walt Disney World resort is the wide selection of resorts you can stay at during your visit. Every hotel on the property is outstanding, and no matter what your price range is, you’ll find a resort. Here’s a few of my favorite resorts. There’s also a surprise at the end of the list! The Port Orleans - Riverside is set to grand southern mansions, giving it true class. Have you ever wanted to stay in a mansion? Well, it’s not quite it, but it’s pretty close at the Port Orleans – Riverside. You’ll stay in a building crafted to be like a southern mansion. You get all the elegance and charm of a mansion at a moderate resort hotel price! You can also stay in the “backwoods” away from the fancy mansions. The Animal Kingdom Lodge has a perk no other resort has: you can wake up with the animals. They won’t be in your room, but they’ll be close. Some rooms at the Animal Kingdom Lodge look over a private savannah just for the resort. If you’re adventurous, and have got the cash, you can wake up and take a safari into the savannah in the morning. Of course, this resort is deemed “deluxe,” so it will cost a bit more than lower resorts. So, your trip to Disney World doesn’t mean you can go to Yellowstone, right? Wrong! Get the experience of staying in a National Park Lodge at the Wilderness Lodge. It’s a grand hotel with amazing wood work and architecture. This is also the place for the outdoor adventurer to stay. Hike the many trails or take a boat out on the water. Fort Wilderness campground is also nearby, which also provides lots of fun activities. The Wilderness Lodge is a Deluxe resort. The Caribbean Beach Resort is a moderate resort, but it is beautiful. Despite being one of the largest resorts at Disney World, it still feels very quaint. There are different “villages” around the 45 acre lake. Each village has its own pool, and there is a large pool with a slide and such next to the resort’s food court. The park is also right by Epcot and the Hollywood Studios, so the trip over to them is less than 10 minutes. If you don’t plan to spend much time at your hotel, but still want a nice resort to come back to in the night, I recommend the Caribbean Beach. It is still my favorite Disney World Resort. Enough with the talk, here’s your reward! You can save at least 25% at select Disney World hotels most nights October 3, 2010 – February 16, 2011! Book by November 21, 2010! Visit here to start booking your trip today. What are your favorite Disney World Resorts? Leave your thoughts below!